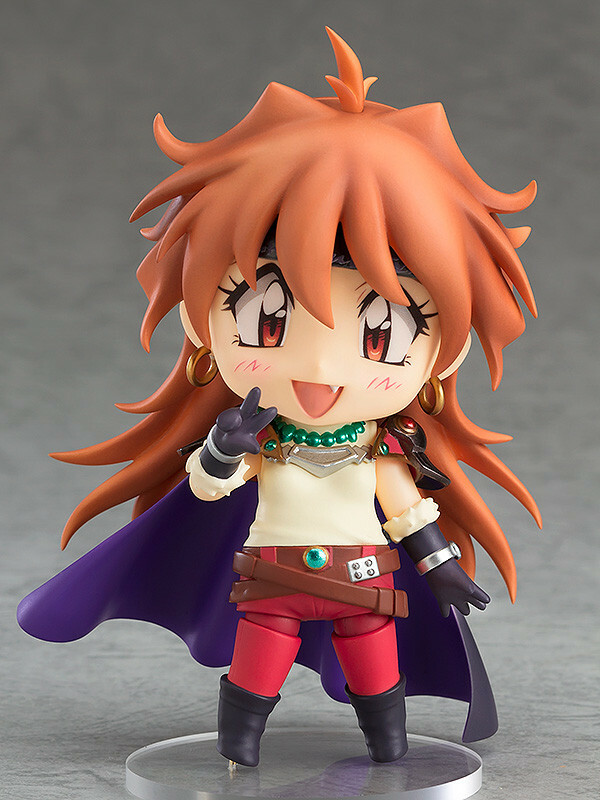 From the fantasy novel masterpiece "Slayers" comes the long-awaited Nendoroid of the self-proclaimed beautiful sorceress, Lina=Inverse! 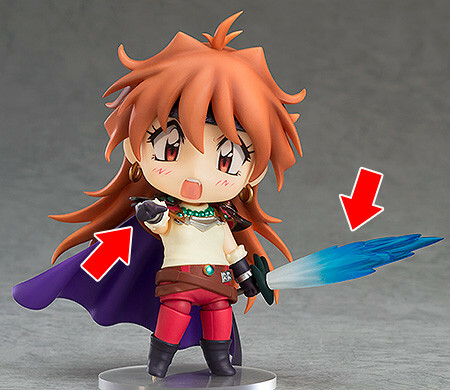 Even in Nendoroid size the magical glyphs on her bandana and the details of the rest of her equipment have all been captured as faithfully as possible. 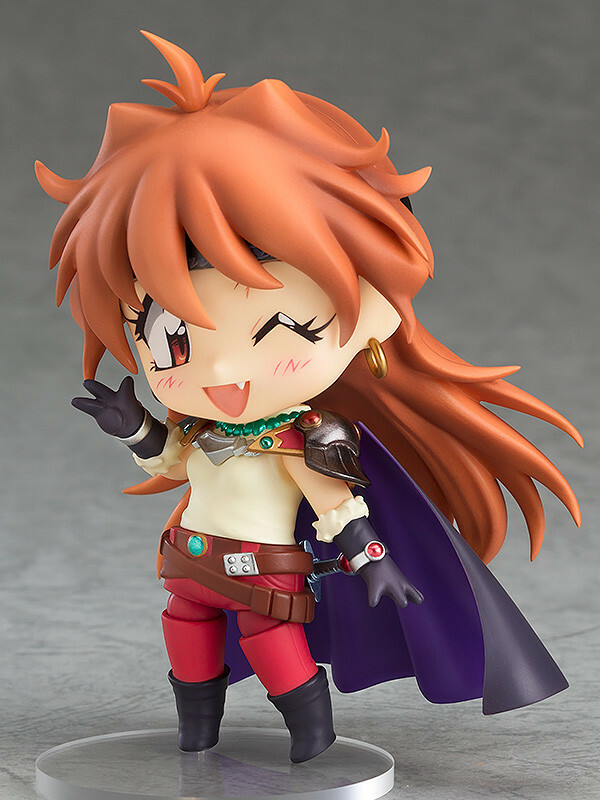 She comes with a total of four face plates including a standard face, a winking face, a incantation face as well as an expression for combat scenes. 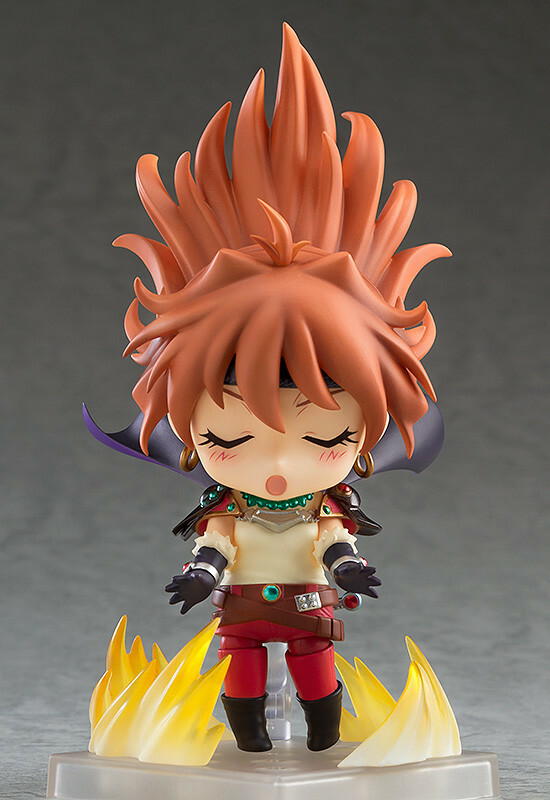 She also comes with optional parts which allow you to pose her casting her iconic "Dragon Slave" spell, from the incantation through to the release of the spell! 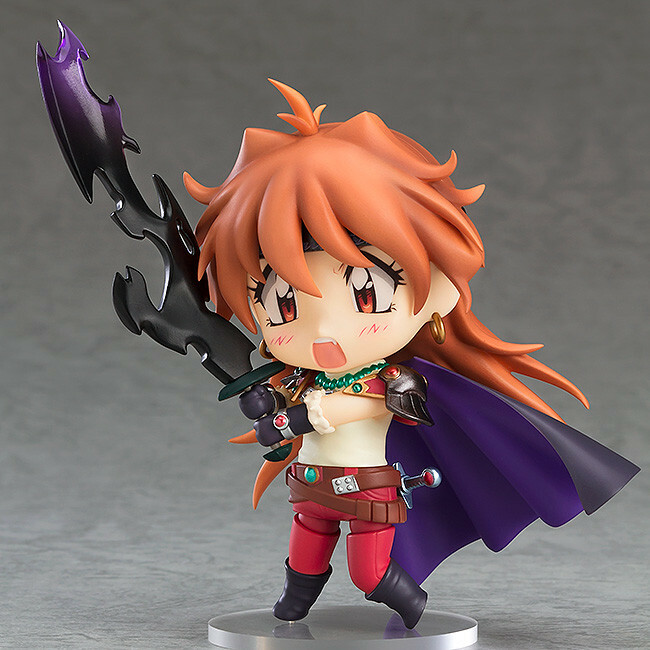 In addition, the Sword of Light with the incomplete version of Giga Slave cast upon it is also included for her to wield. 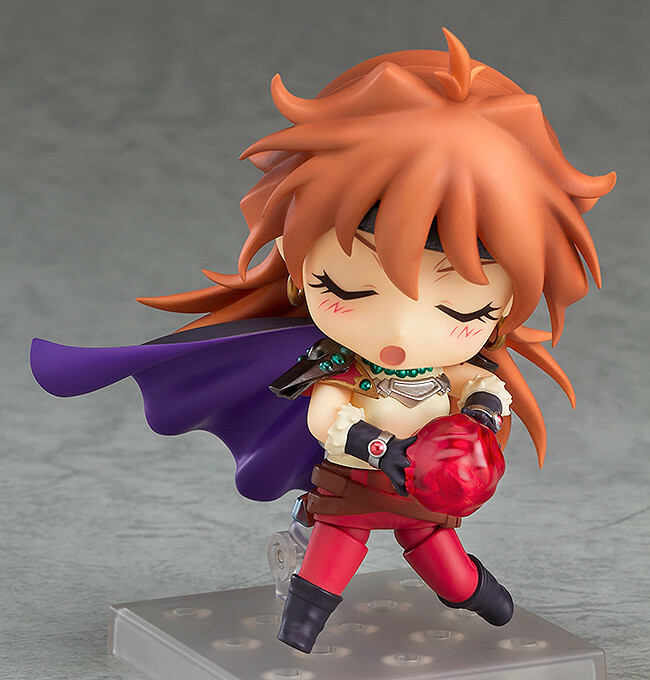 Be sure to add her to your Nendoroid collection while looking forward to the revival of the original novel series! Preorders will be open from 20th March 2018 (Tue) from 12:00JST until 19th April 2018 (Thu) at 12:00JST. 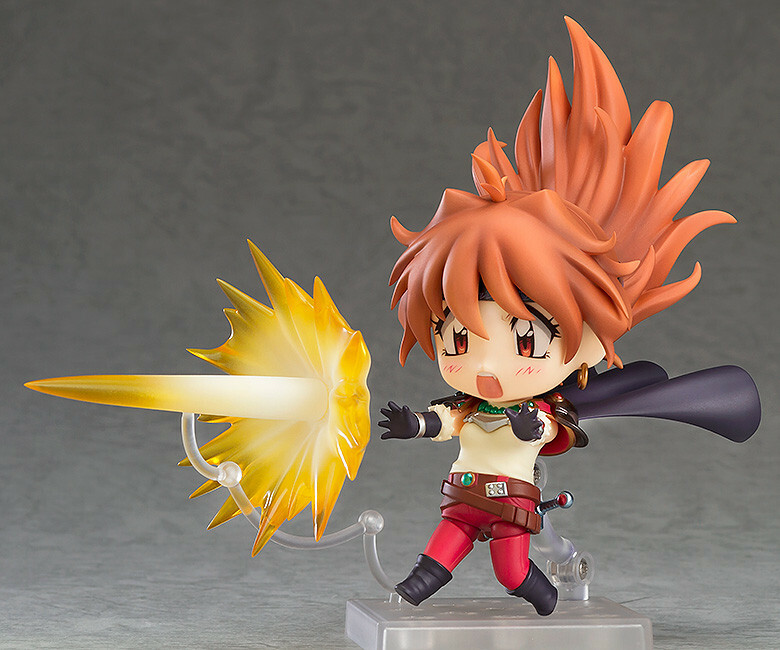 Purchases of Nendoroid Lina Inverse from the GOODSMILE ONLINE SHOP will include a Sword of Light, Pointing Hand Parts as a bonus!